Group is demanding mandatory front-page pieces by minority students. The controversy over the newspaper, called the “Wesleyan Argus,” apparently arose over an opinion piece published last week that criticized some aspects of the #BlackLivesMatter movement. “The undersigned agree to boycott the Argus, recognizing that the paper has historically failed to be an inclusive representation of the voices of the student body,” the petition stated, according to a post in the Argus. “Most specifically, it neglects to provide a safe space for the voices of students of color and we are doubtful that it will in the future,” it continued. The petition had been signed by 147 students and faculty members as of Monday night, according to the Argus. 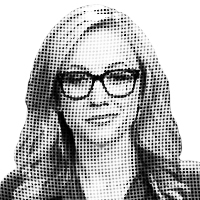 — Katherine Timpf is a reporter for National Review.